In the realm of the psyche, what we haven’t experienced we don’t understand . . .
After working as a graphic artist, photographer, musician and pastoral care worker, in 1983-4 Maureen worked through an acute ‘transformational crisis’ and to help make sense of this self-rebirthing experience, went through Jungian analysis in Australia. She later completed an original Doctoral [PhD] thesis, a Jungian analysis of the life and works of the 19th century English poet John Keats. Having completed three University degrees, in 1998 Maureen began her vocation as a ‘physician of soul’ - the literal meaning of ‘psych-iatry’ - after befriending and helping several gifted, sensitive, highly creative folk who had been labelled with ‘schizophrenia’ and (often forcibly) treated with psychiatric drugs. Clearly, these intelligent, soulful people were not receiving the kind of help they wanted or needed from the Mental Health System. In response, Dr Roberts founded Australia's only Schizophrenia Drug-free Crisis Centre as a source of support, education and therapy for people in crisis and their families. 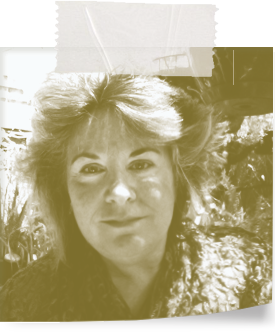 Maureen convened numerous public ‘mental health’ forums and in 2002 joined forces with likeminded volunteers to host Soul Down Under, the first national conference on drug-free crisis care for psychosis. The main guest speaker was US Professor of Psychiatry, the late and highly respected Loren Mosher, MD. Following soul-centred psychiatrist C. G Jung's pioneering spirit, Dr Roberts understands that crisis resolution can take place through compassionate, non-authoritarian dialogue which creates a safe, non-judgmental space in which crises, trauma and conflicts can be worked through in the context of the person's unique story and distinctive psychospiritual profile. She believes that the whole person - psychospiritual and physical, conscious and unconscious - needs to be respected, nurtured and responded to if crisis resolution is to occur. Dr Roberts has been flown interstate by families for psychiatric work with relatives who are unhappy with drug-based treatment, which is an inadequate and inappropriate response to psychospiritual crises. To work with schizophrenia and psychosis, for example, requires an in-depth knowledge of comparative religion and mythology, since 'archetypal' material of this nature frequently surfaces in these altered states. Many folk are (therefore) misleadingly diagnosed as 'mentally ill' when they are - from a soul-centred perspective - going through a transformational psychosis, spiritual emergency, or self-rebirthing process. Maureen’s soul-centred approach is at odds with the (Government funded) biopsychiatric dogma, practices and goals of the Mental Health System, which lacks respect for the living reality of the psyche, routinely violates human rights (through psychiatric coercion) and refuses to validate spiritual emergencies as normal life crises. Maureen was consequently unable to gain employment in either the Government or Mental Health sectors and instead became a private practitioner, writer and international consultant. Guest Speaker: C. G. Jung Society of South Australia Inc. Co-founder: Mental Health ReEducation & Human Rights Network Aust. Inc.